Gone were the days when salads are defined as diet food or vegetarian meals. Today, there are more people who resort to eating salads for a healthier lifestyle or even just an alternative to their usual snacks. Even if you are not practicing a vegetarian lifestyle, it is most likely that you’ve already had a taste of a salad. This change when it comes to how salads are perceived sparked the interest of the business industry to create and develop establishments that can supply the demands of customers. 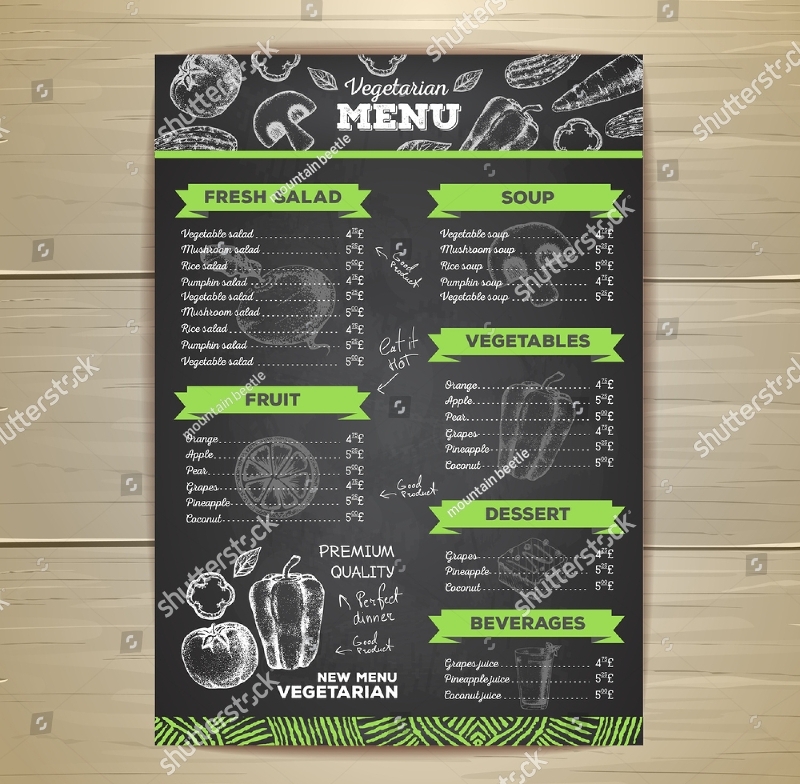 As a part of the branding processes of food establishments who are focused on providing a selection of salads to their customers, a salad menu is necessary to be created. 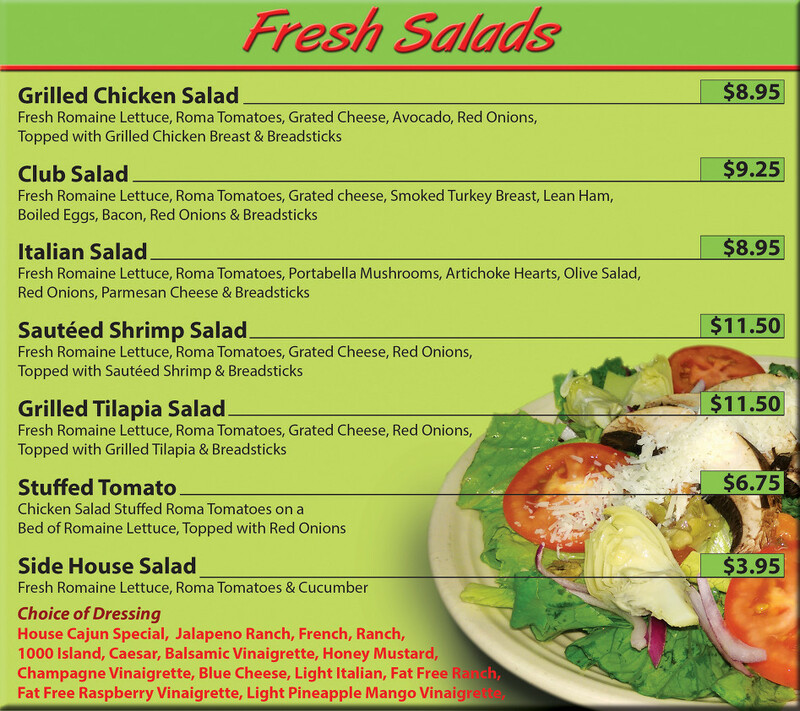 A salad menu is a tool that lists down the offers of a salad bar or a restaurant. 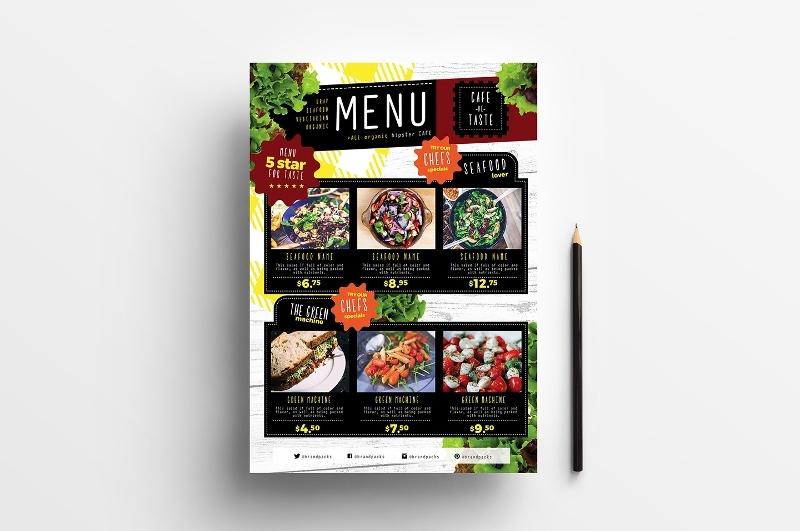 There are different kinds of salad menus which vary on the kind of salad that restaurants have, and the impression or perception that businesses like to create regarding their salad offers which can directly affect their restaurant branding. Listed below are ten samples of salad menus which can help you have an idea of how you would like your own salad menu to be created and designed. Always be focused with your corporate objective when developing the salad menu design. What impression would you like the stakeholders of the business to have regarding the salad menu? How you determine the design that you will incorporate into the salad menu can greatly affect your answer to this question. To achieve your corporate objective in relation to the usage of a comprehensive and impressive salad menu, do not forget to be focused on how your salad bar menu will be used. This will allow you to create design-related decisions that can then realize the salad menu design appropriate to be used by the business. Be mindful of the brand of the business. The image of your food business should be associated within the overall visual of your salad menu. You need to make sure that you can make a unique looking salad menu that will be known as your business’ own. This will allow you to smoothly create a continuous flow of corporate branding within the entirety of your operations. 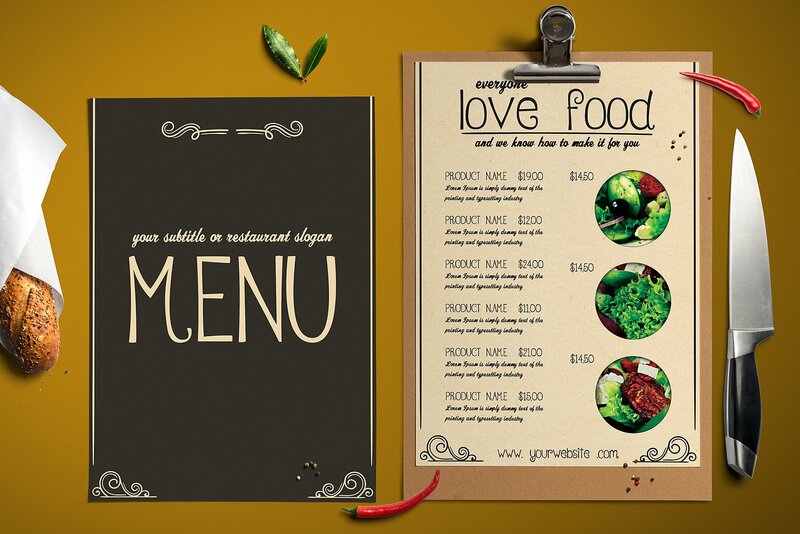 Decide on what kind of salad menu design it is that you want to achieve. It will be best if you will start the development of your salad menu in an organized and well-prepared manner. What kind of output do you expect to have? How would you like to present the salads that are available in your business? Set criteria, a checklist or a design metrics that will allow you to narrow down your selection when it comes to the design preferences that you will apply in your salad menu. Consider both internal and external factors related to your business when designing your salad menu. You do not need to be largely affected by trends. However, you need to make sure that you will first review and assess the salad menus used by your competitors. Aside from knowing the brand of your business, you also need to have an idea of how you can make your brand stand out. Do not use designs that can somehow reflect the salad menus of your competition. Find balance with the design materials that you will use. You have to ensure that your salad menu design is properly put together. Do not make your customers become overwhelmed when they look at your salad selection. Design materials like texts, images, icons and the like should be planned accordingly before placing them to the actual salad menu design. Use images and other design materials of high quality. For your salad menu to look more professional and visually appealing, you need to use high-quality images. This can help your salad offers to be presented in the best way possible. You can hire a photographer to do this for you and/or you can also seek help from a professional graphic designer so you can ensure that the quality of your salad menu design will be taken cared of. 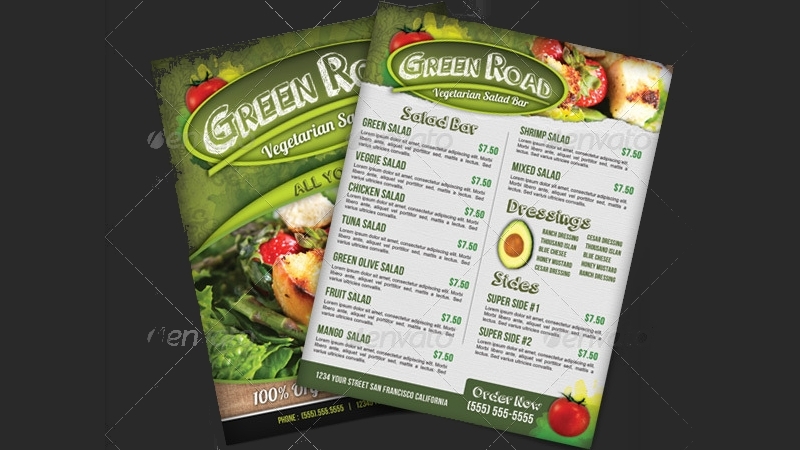 Refer to samples and templates of salad menu designs used by restaurants with the same business operations as yours. 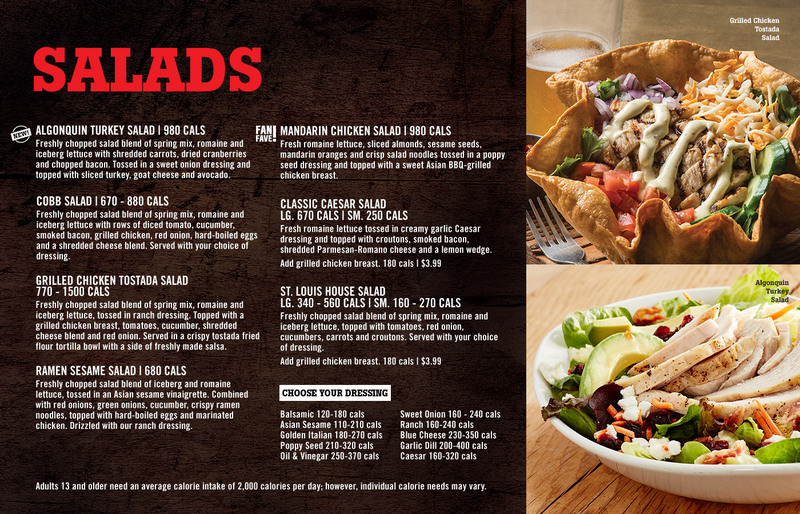 Using a great salad menu layout design as a guide can help you further develop the format of your salad menu. Always keep in mind that the layout or template that you will use will serve as the foundation of your entire salad menu. With this, you have to make sure that it can fit the items to be included in your salad menu accordingly and beautifully. The biggest font that you will use should be for the name of each salads. This will help the customers give more focus to each salad names which can be helpful if they are already aware of the salad that they want. This can also help you to brand your salads as your own especially if you will incorporate unique yet recognizable names in each of them. List down the main ingredients of your salad options. Health-conscious customers have specifics when it comes to what they eat, even if it is just a salad. There are also some that do not like the combination of particular fruits and/or vegetables. Hence, it is imperative for your business to list down the ingredients that are used in the creation of each salad options. This can promote transparency for your customers. Be precise when listing down the corresponding prices of your salads. You always need to update the prices on your salad menu. There is nothing more frustrating and irritating on the side of customers than to expect to pay for a particular amount then finding afterward that it is an old pricing that is not followed by the business anymore. Avoid this scenario by ensuring that you will place the exact and current amounts of your salads in the salad menu. Do not forget to place specific and direct to the point salad descriptions under the name of your salad options. Is your salad vegetable-focused? Do you have seasonal fruits that are placed in your salad? Different salads contain different ingredients, sauces, and mixes. With this, it is very important for you to create a salad description so that customers can identify what kind of salad it is that they are going to buy. The format, menu design and content of your salad menu should work and blend well with each other so you can create an impressive salad menu. Aside from being aesthetically pleasing, your salad menu should also be comprehensive. Some of the advantages of using a complete and informative salad menu are listed below. A comprehensive salad menu says a lot about your brand. If you will create a complete salad menu, customers will have a perception that you ensure that quality will be applied to everything that you will use within the operations of the business. This can help you create a brand impression that can give a positive impact to your image and actual sales. A complete salad menu can make your business more relevant. If your salad menu contains the real ingredients that people can see in the salad, it will be easy for them to give their trust to you as consumers. Especially for people who watch what they eat, it is only essential for them to be aware of all the items that go into the salad mix that you will give to them. This kind of business-to-consumer relationship can make your business stand out from competitors. More so, this can help your operations to last longer and become more sustainable. A salad menu that can find the common grounds between the needs of the business and the demands of the customers can create a win-win situation. It is necessary for your business to think of the people who will practice their purchasing power for your benefit. However, you need to be aware that your salad menu can impact your entire operations in the long run as well. With this, a comprehensive salad menu will allow the existence of a smooth professional relationship between you and your customers. A complete and informative salad menu is very beneficial to your customers who have particular food allergies. If all the items that you will put in the salad are included in the menu, people who have allergies can veer away from options that can trigger their allergies. More so, this can be a great way for you to suggest salad customization which is a plus point when it comes to providing quality customer service. Booklet salad menu. The usage of this menu format is applicable for businesses that offer a wide range of salad options. 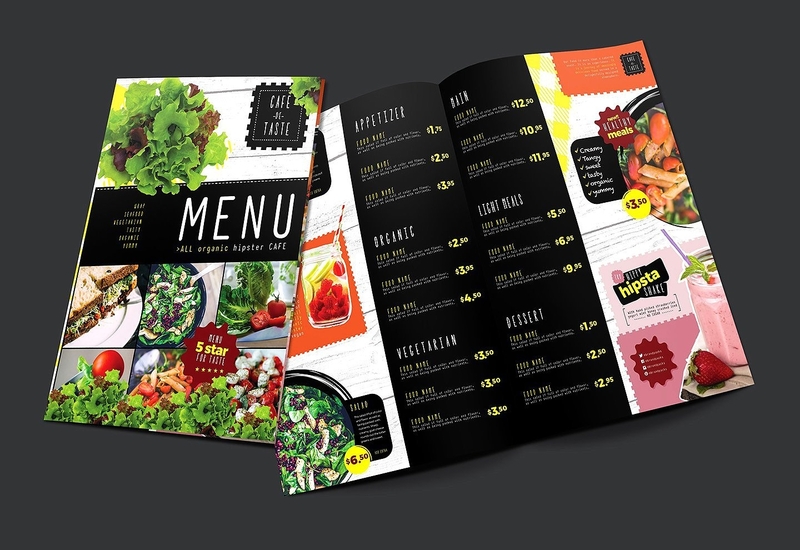 A booklet salad menu can help your business have enough space to present your salad selection properly and cohesively. Table tent or stand alone center piece salad menu. A table tent menu may or may not contain all your salads. You can just present your salad of the month or the new salad that you would like to launch. However, you can also use a table tent salad menu to provide information about all your salads. This can be observed in vegetarian restaurants or those food establishments whose specialty are salad offerings. Counter overhead salad menu. 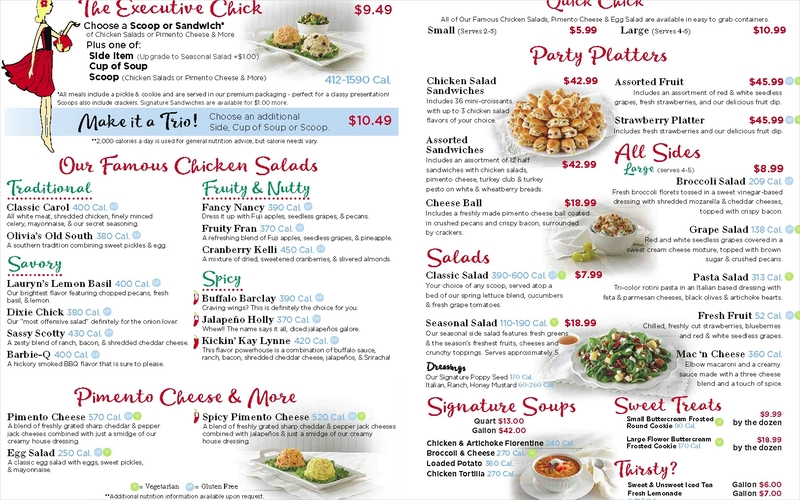 As a part of branding your visual touch points, a counter overhead salad menu can be developed. This kind of salad menu is commonly placed on the overhead counters of your restaurant. A counter overhead salad menu is relatively bigger compared to other kinds of salad menus. 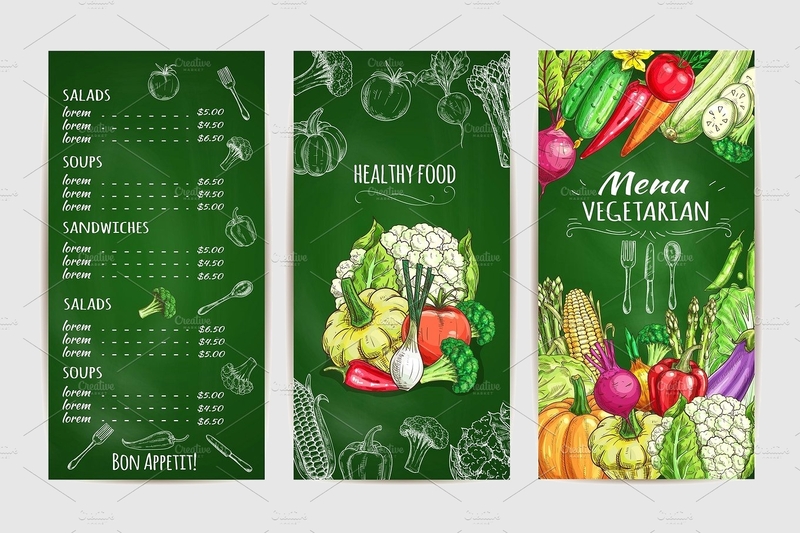 Salad menu standee or banner. If you want to have a salad menu that you can present in different instances especially during events, promotional activities and trade fairs that you will attend in, using a salad menu standee or banner can help you a lot. Brochure Type or Flyer salad menu. A brochure or a flyer works well in terms of disseminating information about your salad options. This type of salad menu can be used by customers who are actually ordering in your establishment. Moreover, your employees can also give out these salad menus to people who are passing in the restaurant so they can be aware of your salad items. A salad menu should be able to convince your customers to try your salads. As a business, you need to make sure that proper branding principles are incorporated into your salad menu so you can use its maximum potential. Always remember that your salad menu also serves as one of the representations of your business. For you to be able to come up with a highly-usable salad menu, make sure that you will be keen when developing its content and format. Do not hesitate a salad menu template if necessary. 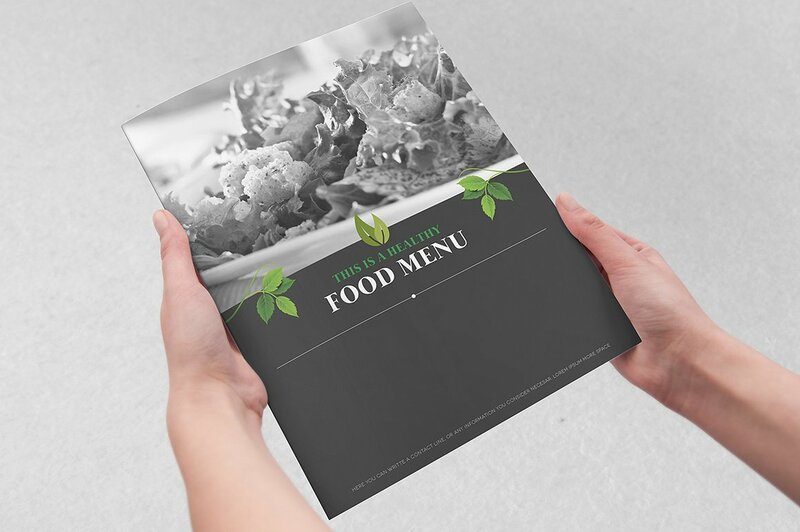 If you do not know where to start in developing your salad menu, templates and downloadable samples can help you a lot in setting the direction where you would like to go in terms of your salad menu creation. Try making one now so you already feel the advantages that this tool can bring to your business.